A softer, more forgiving ski for the up and coming shredder, the Volkl RTM 76 Ski with marker vMotion 1 Bindings feature the tech you need to feel confident and improve. Lightweight construction makes these skis very easy to maneuver, and the softer flex allows you to engage the camber properly to improve your carving performance. Tip rocker enhances turn initiation and helps to prevent tip catching, so you feel more confident to really engage your edges properly and let the ski do the turning. 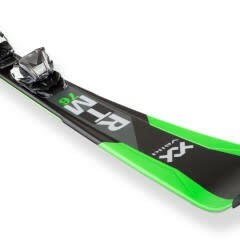 Take on new parts of the mountain and unleash your full potential on the RTM 76 Skis. Wood Core: Multi-Layer Wood Core: In the simple Woodcore structure, the wooden core gives additional damping in the central binding area of the ski resulting in a controlled ride and easy turning from the middle of the ski. This construction is quiet and stable regardless of the terrain and conditions and ideal for the skier requiring a forgiving nature. 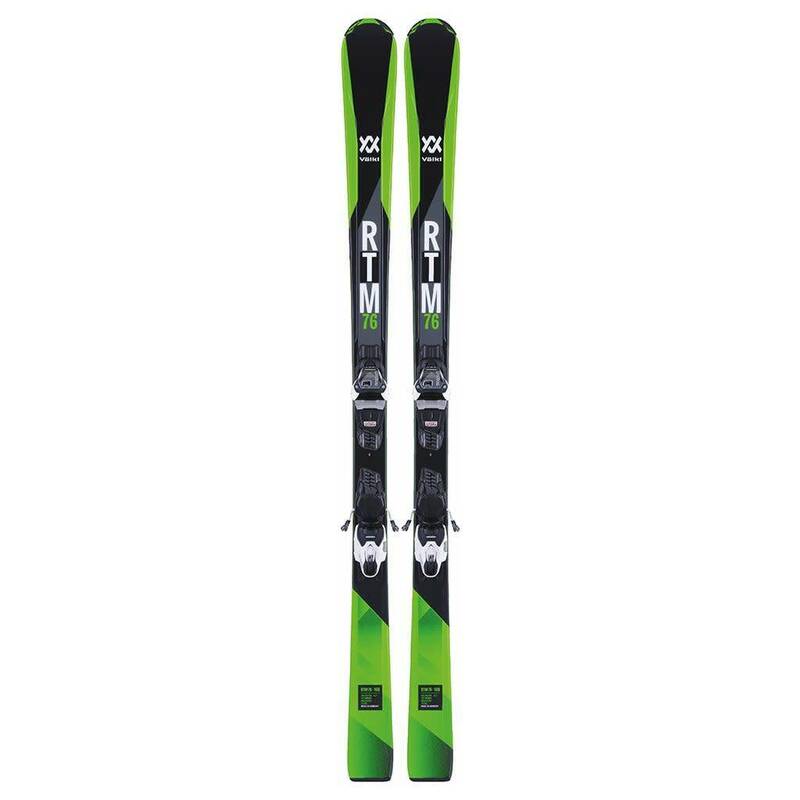 Tip Rocker: For all-mountain skiing and even racing on narrower ski designs, the combination of an early rise tip and a classic camber profile in the rest of the ski provides easy, smooth turn entry regardless of conditions. The ski is forgiving, playful, and easy to handle.